In addition to stained glass windows, Laws Stained Glass Studios produces custom aluminum frames, light boxes, and protective covering. 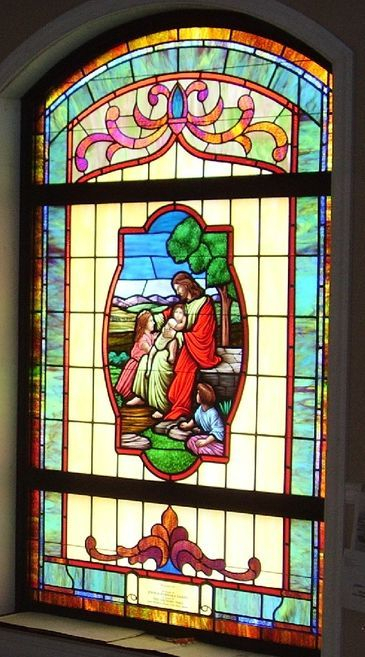 Please give us a call at 1-800-820-1292 for more information on our stained glass windows. We can email you a catalog and give you estimated prices depending upon the size of the window. Give us a call at 1-800-820-1292 for more information!